Sterling silver necklace of Menokin keystone. Looks what’s new in the Menokin Gift Shop? This gorgeous piece of jewelry – designed and produced by Carol Koch (sister of our very own Alice French) – is fashioned from the iconic keystone that once graced the entrance to Menokin and is now on display in our Visitor’s Center. The pendant comes in sterling silver and solid brass. 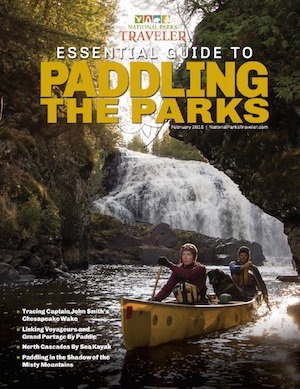 All three are available for purchase in our online SHOP and at the Menokin Visitor’s Center. A perfect gift for all the Menokin enthusiasts on your list! The Menokin keystone in situ. Photo taken by Richard and Robert McClintock in 1969. PART I Nothing brings a place alive like the work of many hands. Phase I of the Menokin Glass Project is underway as three interns dived deep into the Menokin stone databases to identify and locate cut and carved stone from the historic building. Under the supervision of Encore Sustainable Design Architects Nakita Reed and Ward Bucher, the summer interns did a terrific job of updating files, re-tagging stones and finally moving them to giant, life-size print outs of the Menokin HABS drawings. The students, Bethany Emenhiser, Sarah Rogers and Chris Cortner, came from around the U.S. and were attracted to Menokin’s innovative approach to preservation. But has the job been easy? Only if you think moving 250 100-500 lb stones in 90 degree heat is light-weight work. Local contractor, Robert Yeatman, stands by as stones are indentified. Sarah and Bethany directing traffic. Nakita and Menokin E.D. Sarah Pope inspect the progress. Hank Handler from Oak Grove takes his Bobcat driving very seriously. A bird’s eye view of two of four elevations. You can see the house taking shape on top of the drawings. Bringing in summer interns to help with preconstruction work was something of a no-brainer.The Menokin Foundation and its project partners were able to save essential funds and the interns gained valuable experience in the field, learned best practices for documentation and assessment of historic materials. Though the preconstruction work has just begun, the progress is visible. Stop by Menokin and you’ll immediately see sorted stones atop the giant canvas drawings, a visual reminder that soon those same stones will be returned to the house. Follow this link for PART II of this series. Last week we told you about the exciting pre-construction work that is happening at Menokin this summer. This week, our three summer interns have arrived on the job. After a day of orientation and introduction to the project and the area, they are now busy at work identifying the foundation and water table stones in our collection. They will be sharing their insights and images with us daily which will be posted to the blog. We are thrilled to have them here! Chris Cortner is a rising third year at the University of Virginia’s School of Architecture and is from Boston, Massachusetts. As an architecture student, he expanded his interests further to Historic Preservation and Scenic Design. Chris likes to stay involved at school. He is a member and previous Business Manager for The Virginia Gentlemen, the University’s first A Cappella group, a Committee Member and School Representative for the University Judiciary Committee, and a member of the American Institute of Architecture Students. In his free time, Chris likes to sing, ski, and hang out with his friends, family, and his wonderful dog. thunderstorm, preferably watched from a screened-in porch. Bethany Emenhiser just graduated with her MFA in historic preservation from the Savannah College of Art and Design. Bethany is originally a Hoosier and did her undergraduate studies in history at Saint Mary’s College in Indiana. In her free time, she enjoys cooking, running and stargazing. Bethany’s preservation interests include planning, community engagement and non-profit work. She’s excited to be a part of such a unique project here at Menokin. Menokin Glass Project team member Ward Bucher is also the editor of the Dictionary of Building Preservation – a reference book of more than 10,000 terms. The book was the invention of necessity. As a preservation architect, Ward uses these terms regularly in his work. But burdened with a poor memory (high five on that one) he couldn’t always remember the term he was looking for. Ward Bucher, preservation architect, in front of Menokin’s front door paneling. So he put together this fabulous reference guide and brought us a signed and dedicated copy today for our library. My hope is to share them with you on a regular basis so you can begin learning the terms along with me. Find the first term on the Building Preservation Terms post. New terms will be added to the top of the page.